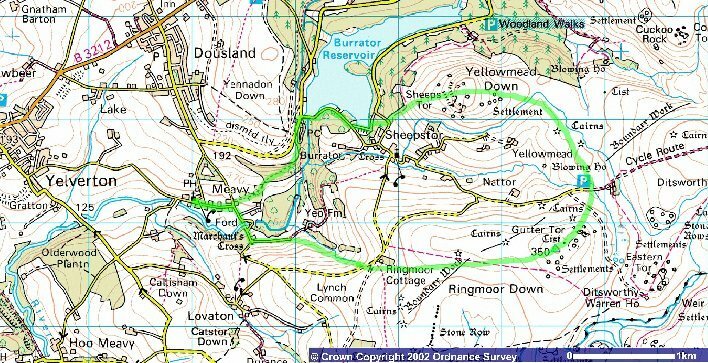 The Burrator Horseshoe is a scenic, challenging moorland run, starting and finishing at Meavy Village Green. It is a part of the Meavy Oak Fair, a traditional village green fair held annually. The fair opens at 2 pm with a children's pageant, just half an hour before the start of the race. There will be much to entertain runners after the race and the Royal Oak Inn is open all day! 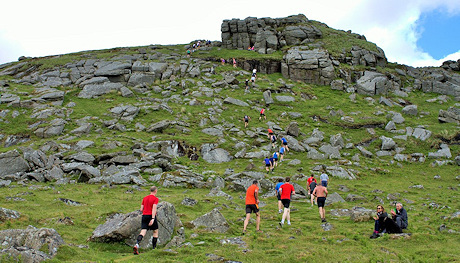 The race is held under Fell Runners Association rules and licence. For enquiries and further information about the Burrator Horseshoe Run email (do not use this email for entries), or see the booking website Entry Central. Awards for normal age groups plus trophy for first club team (4 male and 4 female finishers) aiming for presentation at 4:30pm but stay and enjoy! Deadline for entry will be Sunday 9th June. This race is normally full so book early. Any help of marshalling support greatly received - please contact organiser: . Race Organiser – Richard Best with Support of Run Venture, Tamar Trail Runners, Tavistock AC and Meavy Oak Fair committee. Monies raised will be going to local charities and clubs organising. Entries for the run this year are all on-line - made on the Entry Central website. Entry fee is £10 plus 50p booking fee. Entries on day may be accepted if race not full but the entry fee will be £15. To enter the Burrator Horseshoe Run click on the button below. © Crown Copyright 2002 Produced from Ordnance Survey's Get-a-map service. Image reproduced with permission of Ordnance Survey.